Green, a former third-round pick, has struggled mightily in his effort to become Dallas’ third offensive tackle. Ward, for his part, was acquired in exchange for wide receiver Ryan Switzer earlier this year. It didn’t take long for Caraun Reid to find a new job. Jon Machota of the Dallas News reports (via Twitter) that the Cowboys will be signing the defensive tackle. Dallas is expected to waive/injured Richard Ash in order to open a roster spot. Meanwhile, ESPN’s Todd Archer reports that the Cowboys will also be signing safety Dominick Sanders, and the team is expected to place Jameill Showers on the IR. The 26-year-old Reid had been battling a hamstring issue throughout training camp, but reports indicate that he’s now healthy. With the Colts rostering plenty of depth at the position, the organization decided to release Reid over the weekend so he could quickly find his next gig. 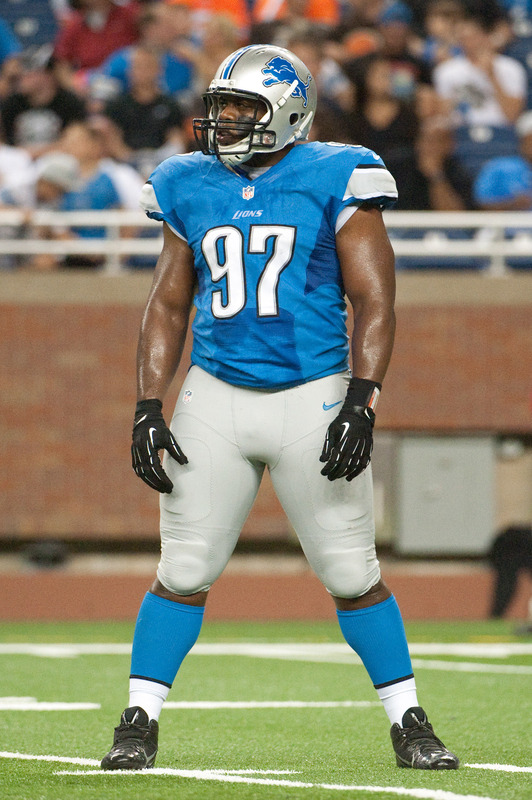 The 2014 fifth-round pick out of Princeton contributed during his first two years in the league, including a 2015 campaign with the Lions where he compiled 29 tackles and two sacks in 14 games (12 starts). After playing in seven games with the Chargers in 2016, Reid tore his ACL, and he’s proceeded to play in only one game since that time. In Dallas, Reid will be replacing Ash, who compiled 15 tackles in 10 games (two starts) for the Cowboys last season. The 26-year-old had suffered a knee injury during Saturday’s preseason game. Reid will presumably slide into the open spot on the depth chart, and he’ll compete with Jihad Ward, Datone Jones, and Lewis Neal to be the primary backup behind Brian Price and Maliek Collins. Sanders worked out for the Cowboys last week. The Georgia product set a school-record with 16 interceptions, and he briefly caught on with the Eagles after going undrafted in this year’s draft. He’ll be replacing Showers, who tore his ACL this past weekend. The Packers selected Washington State offensive guard Cole Madison in the fifth round of this past year’s draft. However, the rookie has sat on the did not report list and hasn’t attended training camp. While his absence isn’t encouraging, general manager Brian Gutekunst is confident that he’ll be able to contribute eventually. Gutekunst added that he believes Madison wants to continue playing, and he even hinted that the rookie could end up returning to the team at some point during the preseason. The Cowboys received some good news today. Howard Balzer tweets that Maliek Collins has passed his physical and been activated from the physically unable to perform list. The 23-year-old has undergone a pair of surgeries over the past four months to repair a fractured fifth metatarsal in his left foot. With several weeks to go before the end of the preseason, the Cowboys are confident Collins can return for the start of the regular season. 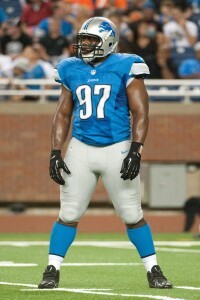 “He’s just progressing,” Cowboys coach Jason Garrett said earlier this week (via Charean Williams of ProFootballTalk.com). “He’s done a really good job with his rehab, and we’re taking him day-by-day, we’ll see if he’s available at some point to come practice here in the next week or so.” Collins finished last season with 22 tackles and 2.5 sacks. The Broncos signed Alexander Johnson earlier today, and it sounds like the organization has high hopes for the embattled linebacker. Ben Volin of the Boston Globe tweets that the organization is giving the rookie $50K in guaranteed money, more than they gave to any of their other undrafted rookies. The former Tennessee star, who has dealt with his share of off-field issues, hasn’t played organized football in more than four years. Denver wasn’t the only suitor for Johnson. Volin tweets that the Dolphins (along with a “couple other teams”) had expressed interest in the rookie linebacker before he joined the Broncos. The Cowboys worked out a number of players today (via Jon Machota of the Dallas News on Twitter): receiver Darren Carrington, offensive linemen Jacob Alsadek and Daronte Bouldin, and safeties Dominick Sanders, Ryan Murphy, and Deron Washington. The team ended up signing Alsadek and Carrington later in the day. Former Southern Miss wide receiver Allenzae Staggers worked out for the Redskins today, reports Aaron Wilson of the Houston Chronicle (via Twitter). Following a breakout 2016 campaign where he hauled in 63 receptions for 1,165 yards and seven touchdowns, the wideout took a step back in 2017, finishing with 44 catches for 471 yards. Representing a sizable portion of this class, four safeties will join the Eagles’ other three backup safeties — two 2017 UDFAs and veteran special-teamer Chris Maragos — in competing for roles behind Malcolm Jenkins and Rodney McLeod. However, Neal, Roberts and Reaves played cornerback as well. Roberts manned the slot at South Alabama, while Reaves earned Sun Belt defensive player of the year acclaim last season. Sanders, however, logged the most experience in being a Georgia starter for four years. He finished with 16 career interceptions. Brown also spent time at both safety and cornerback, despite being listed as a linebacker. The Eagles also turned to smaller schools extensively here, with mid-major Division I-FBS or non-Division I programs producing eight of these 15 players. Rumors connected the Eagles to running backs in this draft. Instead, the team re-signed Darren Sproles and is bringing in a player who is coming off a 1,430-yard, nine-touchdown season with the Fighting Irish. The 213-pound Adams averaged 6.9 yards per carry as well as a true junior in 2017. Hector received the highest base salary guarantee of this group, with the team giving him $55K guaranteed along with a $5K signing bonus. Adams received a $30K base guarantee and $25K to sign, and Sullivan a $35K base guarantee and $16K to sign (Twitter link via Ben Volin of the Boston Globe). Volin adds will see a $20K base guarantee and a $10K signing bonus. Ostman will also see $20K guaranteed, per Volin (on Twitter).